Fly like a bird is many people's dream. However it is quite possible to experience the feeling of free flight. 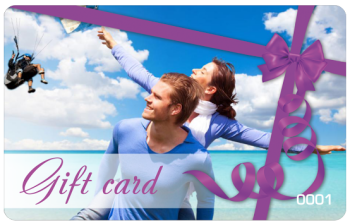 Paragliding is type of both sport and active recreation that may present such an amazing opportunity. Paragliding sports in Montenegro allows to see the world from a bird's-eye view. And this is really one of the most unforgettable impressions, for the sake of which it makes sense to visit this amazing place. The paraglider is an ultralight aircraft, its weight is only 5-7 kg and its flight speed can vary from 20 to 70 km / h. We can say that this is the slowest aircraft and the safest one. It is ingeniously simpe by its design. In fact, it is a wing-dome with a suspension system. Aerodynamic shape of the wing provides good lift. Deciding to experience a paragliding flight in Montenegro is very important to take into account the weather conditions, so that nothing spoils the impressions of this amazing adventure. 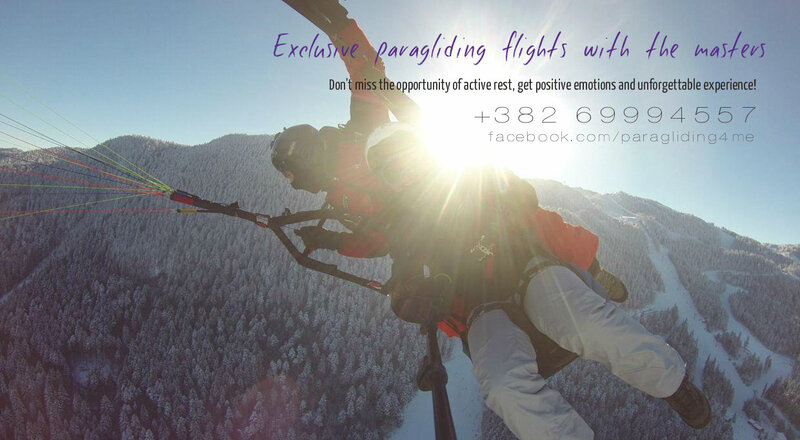 Paragliding Montenegro - Make a dream come true! Visit picturesque places such as Kotor bay, Lovchen, Budva, Petrovac, Bar, Herceg-Novi, Durmitor and make a delightful flight under the guidance of a paragliding master instructor for incredible sensations and unforgettable impressions. Order a flight in tandem! Learning to control the device is quite simple and in case of assumption of any errors they are easily remediable. The advantages of flying on this aircraft are also that in the case of an emergency landing, the surface requirements are practically minimal. The best way to experience paragliding Montenegro is to contact a paragliding club, where experienced instructors will become reliable assistants in the development of this aircraft. Moreover all conditions are created in Montenegro so that everyone can try himself in this advantage. There is a wonderful educational base, affordable prices and magnificent natural conditions. Not every place can be suitable for paragliding. But Montenegro has a lot of such places. The main and most popular is the mountain range towering above the resort capital city of Budva. At an altitude of 760 meters above sea level near the village of Braichi, there is a paragliding start, from which every flight day dozens of paragliding flights take place. And the flight itself is possible in three directions - it's south, south-east and south-west, and it's very convenient to land on the beaches of Becici or Rafailovici. While paragliding flight in Montenegro, in these places paragliders have the opportunity to see in all its glory the city-hotel "Sveti Stefan". Equally popular are flights performed in other places, both on the coast and on continent - Petrovac, Bar, Ulcinj, Zabljak and others. All the flights are simply magnificent, beautiful views are amazing. Kotor is a special area, where from a height of 1350 meters magnificent panoramic view will fall in love with you. 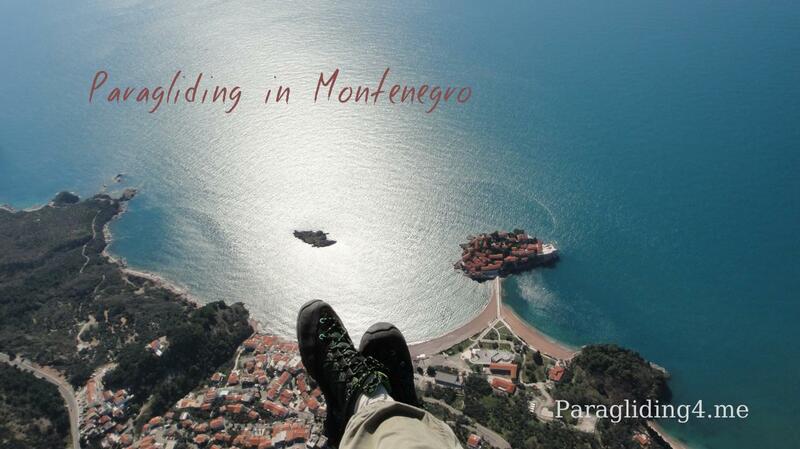 And, of course, unforgettable paragliding Montenegro over Herceg Novi. There the altitude of the launch is 850 m above sea level. Location near the beaches of Igalo and Zelenika. Experienced paragliders can try themselves flying up into the sky in the vicinity of the Durmitor mountain range. There is also take off place on the mountain Lovcen. The height of the launch point is 1660 meters above sea level. But the landing place is only at a level of 20 meters. During this amazing flight an unparalleled view opens up to the famous Boka Kotor Bay.